Competition increases pressure to provide a variety of customer incentives including coupons, rewards programs and free shipping. More and more, customers are expecting these incentives from online retailers, especially free shipping. According to a report conducted by comScore, free shipping was cited as the most important option during checkout by 77% of online shoppers. Offering free shipping is a great way to attract sales and an effective way to increase order sizes. A global study by comScore stated 58% of online shoppers reported adding items to their shopping cart in order to qualify for the incentive. Sounds great right? Before you offer free shipping to your customers, it is important to understand how it can affect your business. A company should not make the offer of free shipping without forethought. Before you absorb the costs, you must understand the mistakes to avoid when offering free shipping. Not Understanding Costs: This should go without saying, but it is vital to know your average value and cost per shipment. Offering free shipping only makes sense if you maintain a strong margin. If you are not able to maintain a strong margin, consider alternative shipping strategies such as offering free shipping with a minimum purchase or free shipping on products with greater margins. Not Testing Value: It may seem counter-intuitive, but your customers may not find the value in free shipping. Never just assume that free shipping is your best promotional offer. After testing several incentives, you may find upfront discounts or loyalty rewards are more effective. Try out multiple marketing offers and track and review the results to understand which offers are most appealing to your customer base. For ideas/information on different shipping strategies to test, check out our blog on Choosing the Right Shipping Strategy. Not Highlighting Savings: Because so many companies offer free shipping, customers have become less aware of the savings. Reminding your customers how much they have saved can help them validate their purchase. Many online shopping carts will calculate shipping fees, so customers can see how much it would have cost them. Make sure this calculation is on and visible (above the fold). Another way to remind customers of the savings is to highlight it in order confirmation emails. Not Setting Limits: Free shipping offers only work if you’re still making a profit. If a company does not have a minimum or sets the order threshold too low, they will lose money. Set too high and customers will not take advantage of the offer. Our recommended strategy is to set the order thresholds just above average order size. This will help to increase sales and maximize profitability. Not Knowing Competition: What is your competition's free shipping offer? Your order threshold should not be higher than theirs. Set it at or lower than the competition. However, remember, the order limit should not cut too deeply into profits. Going Year-round: Consider offering free shipping only at certain times of the year. This makes it a bonafide offer, rather than a gimmick, in the eyes of customers and limits the financial impact. Moreover, limited-time offers create a sense of urgency, and will spike sales. Before offering free shipping, make sure you've done thorough research and understand the implications on your business. Although free shipping is an enticing offer, it is not right for every company. Implement a shipping strategy that is tailored to fit the needs of your customers while allowing your company to thrive. As the trusted order fulfillment services provider for over 100 clients, PBD knows how to reduce shipping costs without sacrificing the customer experience. 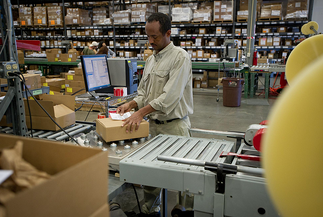 For best practices and tips on e-commerce shipping, fulfillment and distribution, subscribe to our blog: http://www.pbd.com/blog.